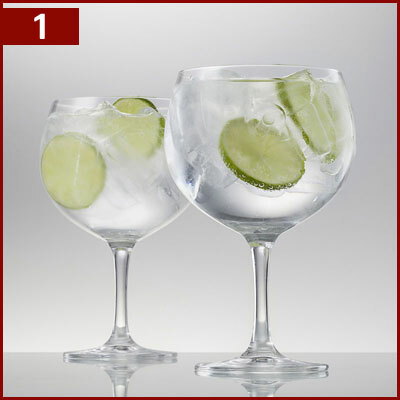 Christmas gift buying is in full swing so to help you on your way, we’ve listed our top 5 glassware items for Christmas gifts to cover most type of drinkers! We have a great selection of different glasses from a variety of different manufacturers catering for all budget types, sets of 6 for under £30 all the way up to individual crystal glasses northwards of £50. With world renowned brands such as Schott Zwiesel, Riedel, Spiegelau and Glencairn to handmade Zalto, Mark Thomas and Zwiesel 1872. Treat someone to a set of brand new sparkling glasses this Christmas! 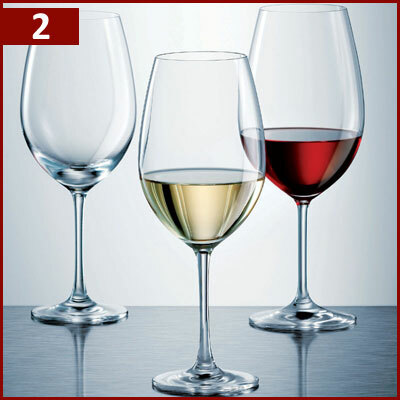 Our most popular range of glasses is the Ivento glassware range from German based manufacturers Schott Zwiesel. This world famous glassware producer creates all types of glasses catering for both the trade and end user in a manner of different shapes and styles. The Ivento range in particular features five glasses, three for red wine, one for white and one for champagne, with two of the red wine glasses specifically designed to enhance the drinking experience of wines from Bordeaux and Burgundy. Made from machine using their very own Tritan Crystal, these glasses are dishwasher and break resistant, perfect for the keen ‘wineo’ this Christmas! 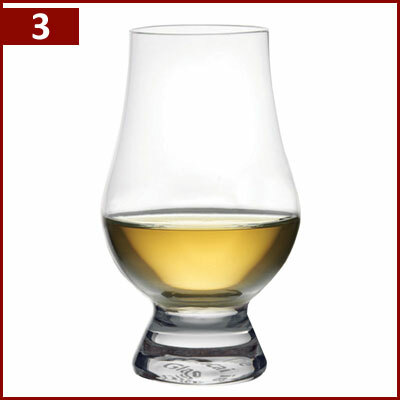 The Glencairn whisky is used all over the World and you can’t go to a distillery or whisky bar in Scotland seeing a Glencairn glass being used! The glass has received many awards since its release in 2001, but the stand out award is the Queens Award for Innovation it was given in 2006! To this day the Glencairn Whisky Glass continues to be the best and most loved glass for serving and tasting whisky around the World. We offer this easy to use glass in a variety of different packaging sets, making it one of the most perfect Christmas gifts for a Whisky lover! Prosecco is fast becoming a big rival in the UK to the ever popular Champagne, it’s been around for years but because of it’s significantly lower price point, more and more people are opting for the Italian sparkling wine instead. Although Prosecco is similar to its neighbouring rival Champagne, it’s only right that it has its own glass that enhances the taste and experience because it has different characteristics. 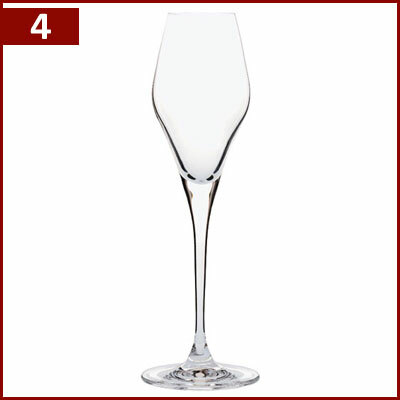 Similarly, it tastes best out of a flute style shape, but this Prosecco glass from Glass & Co features are tapered opening that keeps the aromas within the glass. Zalto glasses are relatively new to the glassware market but have been meet with a glowing endorsement due to their sleekness and style. Austrian based Zalto pride themselves on their Non-Lead Crystal glasses that are entirely made by hand and mouth blown by highly skilled glass-blowers. Both home users and wine sommeliers have embraced Zalto glassware with open arms due to the excellent clarity of the crystal glass their product quality. 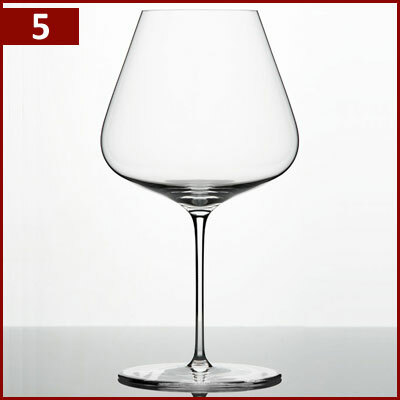 They produce a range of glasses, specifically for wines of Bordeaux and Burgundy, as well as general red and white wine glasses, champagne flutes and more. This series of glasses from Zalto are for the avid wine lover in your life, they won’t be disappointed! There’s always the option if you can’t decide to opt for a Wineware Gift Voucher instead, that way they can choose the perfect glassware themselves! You have until 12 Noon on Thursday 22nd December to purchase your Wineware Christmas Gift for guaranteed pre-Christmas dispatch!